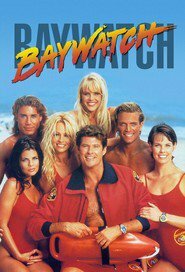 Living... in Northern California when she meets Mitch Buchannon, a Los Angeles lifeguard looking for clues about his old prospector uncle. After solving a mystery together, she follows him down south and begins the biggest adventure of her life. Profession... lifeguard. This is no suburban pool, though. Frequent near-drownings plague the beach, along with other dangers such as sharks, con men, terrorists and thieves. Being a lifeguard is about saving lives no matter why they’re in danger. Interests… meditating, yoga, running in slow motion along the beach. CJ is a student of New Age philosophy, which she explores through interpreting her colleagues’ dreams and using crystals to balance their energies. Relationship Status... dating other lifeguards. She has had long-term relationships with the former world class swimmer Cody and Matt, the rookie lifeguard with a troubled past. Challenge... protecting the beach, and the animals who live there. While many of the lifeguards focus on the people who need help, CJ gives special attention to the marine life and lifeguard support animals. And it’s not always the beachgoers who need help – the lifeguards often look to her for support as well, like when Summer is trying to conquer her bulimia. Personality... confident, brave, insightful. She searches for meaning in life through her New Age readings, and while there are still many answers to her questions, one thing she’s learned is to always help those in need. C.J. Parker's popularity ranking on CharacTour is #4987 out of 5,000+ characters. See our top-ranked characters and read their profiles.